Antiqued Metal pulls & knobs; carved legs. Hutch has two shelving sections, corkboard and hole for electrical cords. Self-closing, under mount, hidden drawer glides with built-in stops to prevent drawers from falling out. If you have any questions about this product by Bolton Furniture, contact us by completing and submitting the form below. If you are looking for a specif part number, please include it with your message. 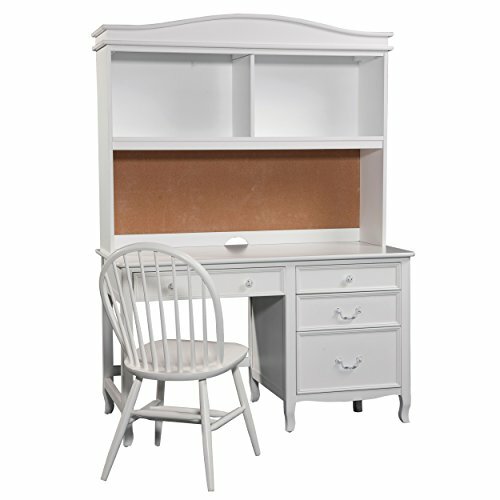 Sierra Compact Mission Style Writing Desk - 40"